We're excited that March-June 2019 will mark a record breaking spell of touring for Traverse Theatre Company - with five homegrown full productions touring to 15 different locations, in four continents, totalling 112 individual performances over 51 days. Following a reprised sell-out run at the Traverse in February this year, and a follow-on tour to Adelaide Festival and Auckland Arts Festival during March, the award-winning Traverse Festival 2018 hit Ulster American continues its reign with dates in Dublin(The Abbey, 9-20 April) and Belfast(Lyric Theatre, 24-28 April). Meanwhile, Mouthpiece - Kieran Hurley's gripping, provocative and critically-acclaimed smash hit exploring issues of class and culture - transfers to London (Soho Theatre, 2 Apr-4 May), following a sell-out run at the Traverse in December 2018. Produced in association with HighTide, it is reprised by the stellar original cast of Lorn Macdonald and Neve McIntosh, under the direction of former Traverse Artistic Director Orla O'Loughlin. 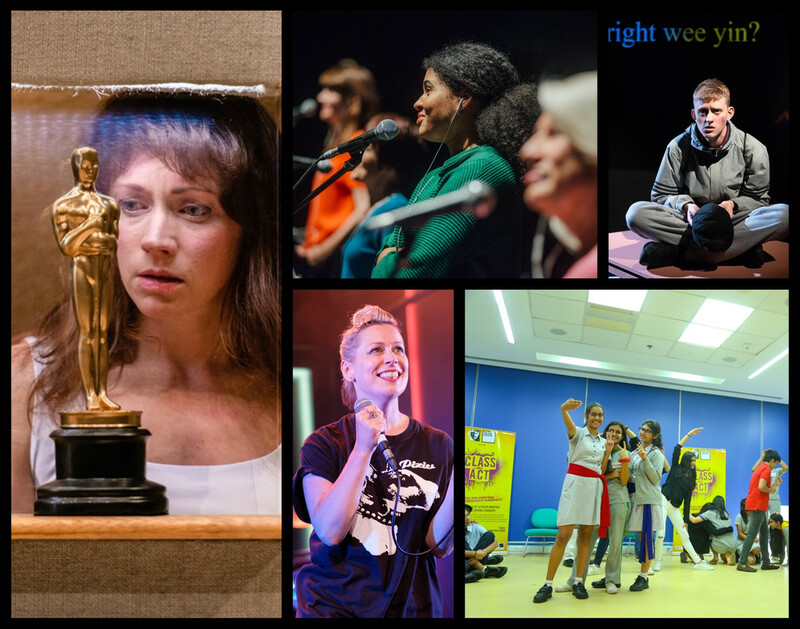 Another Traverse Festival 2018 sell-out, the award-winning gig theatre epic What Girls Are Made Of, our co-production with Raw Material, tours to Glasgow(Citizens Theatre at Tramway, 9-13 April); Edinburgh (Traverse Theatre, 16-20 April); Belfast(The MAC, 1-5 May); Kirkcaldy (Adam Smith Theatre, 7 and 8 May); Dundee(Dundee Rep, 14 and 15 May); Stirling (Macrobert, 17 and 18 May); Brazil (Cultura Inglesa Festival, 24-26 May); and Charleston, USA (Spoleto Festival, 4-8 June). 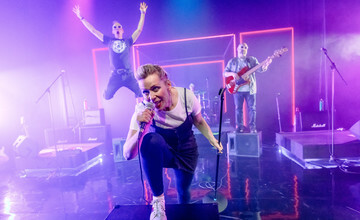 Off the back of overwhelming response from previous performances, Locker Room Talk embarks on a Scottish tour to Dundee (Dundee Rep, 17 April); Stirling(Macrobert, 18 April); Aberdeen (Lemon Tree, 19 April); Edinburgh (Traverse Theatre, 23 and 24 April); and Glasgow (Tron Theatre, 25-27 April). Created by Traverse Associate Artist Gary McNair, it is a provocative piece of event theatre continuing a vital conversation about misogyny and masculinity, with four female actors performing, verbatim, the words of men. Lastly, the CATS award-winning Black Beauty, produced with Red Bridge Arts, heads to Los Angeles (Wallis Annenberg Center for Performing Arts, 26 April-5 May), following last year's acclaimed run in New York City, and follow-on tour of the UK and Ireland. In addition to the bounty of touring productions, this April will also see the Traverse continue its international partnership with Rage Productions in Mumbai - where our flagship education project, Class Act, toured in 2018. We will be collaborating on a programme of activity exploring international exchange in creative process, kicking off with a creative residency in Mumbai during April.